Loss of reading capability (accommodation for near) with middle age happens to us all. As human eye ages the Crystalline Lens within the eye increases in weight and density and becomes harder. Once all the youthful suppleness is lost, the Crystalline Lens is no longer able to change shape when we use the Ciliary Muscle to the focus for near. This loss of accommodation of the focus for near is called ‘Presbyopia’ and is usually noticed in the mid-forties. Unless you have mild Myopia glasses are required to see for near as objects inside arms-length are no longer in focus. This is most noticeable for small print (eg medication labels on bottles), dark print on dark backgrounds (glossy magazine articles), trying to read in low light conditions (menus in the restaurant). To start with pushing the reading material further away helps but after time folk complain the “arms are not long enough”. Those with hypermetropia often have an earlier onset of presbyopia, because some of the near focus accommodative power was used to correct the hypermetropic error. For those with low hypermetropia the age change has a big impact because they also need glasses for the distance as well, making them dependent on visual aids all the time. Unfortunately the nice variable focus available in youth is hard to obtain with any of the methods of correction for this problem. You need a higher powered corrective lens as the material is held progressively closer. So a lower power correction is generally required for activities such as typing and computing, bench work, playing music. An intermediate power is needed for reading, and a higher power for fine visual tasks such as threading a needle. All the different different near visual tasks are not easily provided for with one set of reading glasses, as a result multifocal glasses are often used – these allow for distance, intermediate, and near tasks, but although very useful, there are compromises with these glasses. In fact all the near vision solutions either with glasses, contact lenses, or surgery have compromises and limitations compared with youthful accommodation. Instead of glasses a generally acceptable solution is a correction called ‘mono-vision’. This is where the non-dominant eye is corrected to a closer focus for near. If the correction is only of the order of a 1.00 to 1.25 dioptre addition, it may still be possible to retain reasonable distance vision with that eye. The dominant eye is given a full distance correction, so that between the two eyes good distance vision and reasonable reading vision is achievable. 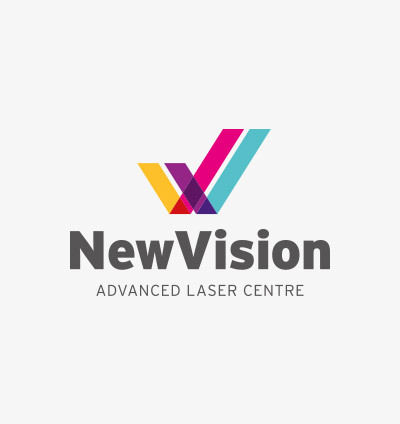 This vision correction is easily achieved with contact lenses, and can be replicated with laser and lens surgery. Multifocal options are also available with laser corneal refractive surgery, and intra-ocular lens surgery, but these options may come with other compromises.